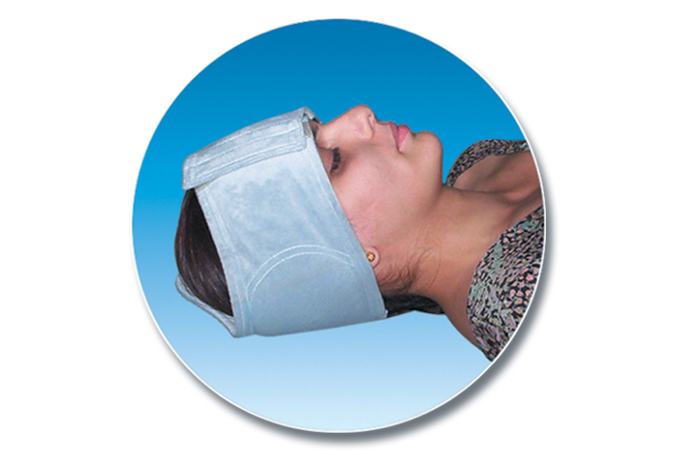 Helps Protect the head, occipital nerve and ears from the development of pressure sores. 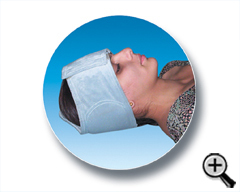 Gel lining provides extra comfort to protect the head especially occipital parietal bones, occipital nerve and ears from the development of bed sore by relieving the excessive pressure. 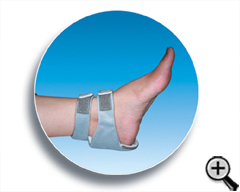 Used after neuro surgery to prevent any injury at operation sites. Can be use up to Grade III bed sores. Easy to donning & doffing. Wash cloth & gel separately. When gel is dirty / sticky, Sponge the gel with talcum powder and remove extra powder by washing the gel with mild shampoo and fresh water. During excessive bed ridden cases sacral & coccyx area need good protection from bed sore formation at sacral & coccyx area. Sacral is the first formost & prominent area that develop bed sore easily in bed ridden cases. 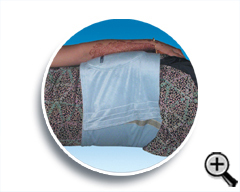 Sacral is the first & formost site to develop a bed sore because comatose patient is usually in Supine lying position. 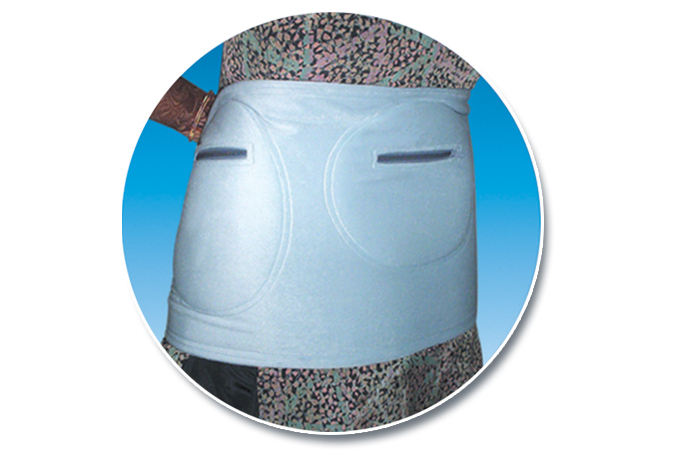 Sacral protector helps to prevent the developing of bed sore at this pressure bearing area. Sacrum is the most prominent during supine lying so need pressure relief. 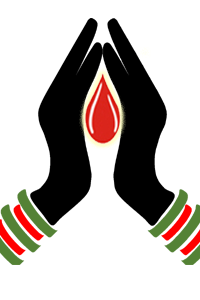 During excessive bed ridden cases femua head (hip area) in case of side lying need protection from bed sore at hip area and require. 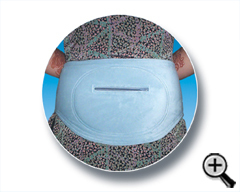 Femua head area in case of side lying are the prominent area that develop bed sares easily need pressure relief by Hip Protector. 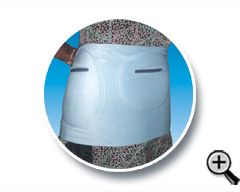 Hip protector helps during mid prone lying position & provides pressure relief to either side. During mid prone position greater trochanter of femur is the mostprominent pressure bearing area, so need pressure relief. 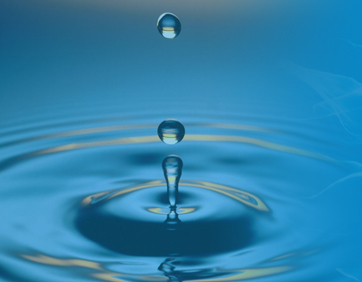 Relive pressure from transverse fascia lata & speed up the recovery for further rehabitation. 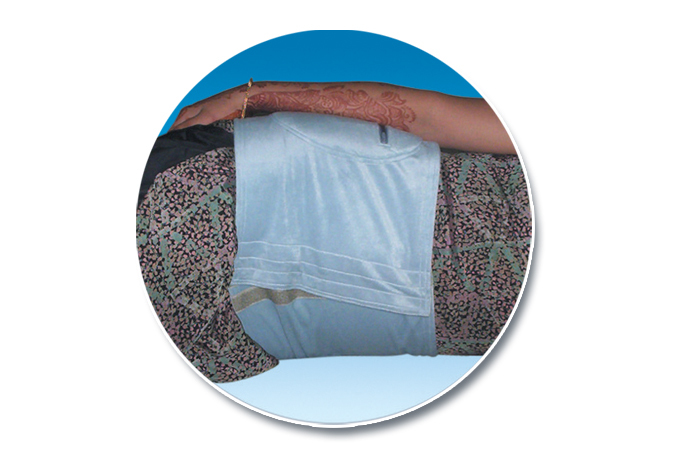 During excessive bed ridden cases sacral, coccyx & hip area need good protection from bed sore. Hip protector help during side lying & sacral piece during supine lying. 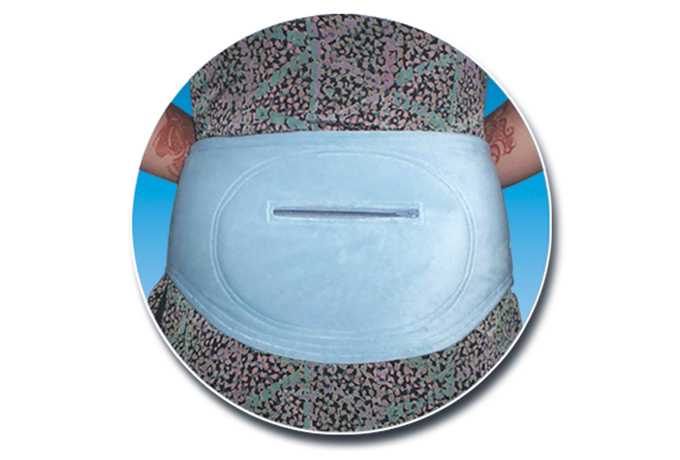 Either side & sacral protection possible. Relive pressure from tansverse fascia latal (important parts to walk) & speed up the rehabilitation. Can be used up to Grade III bed sores. 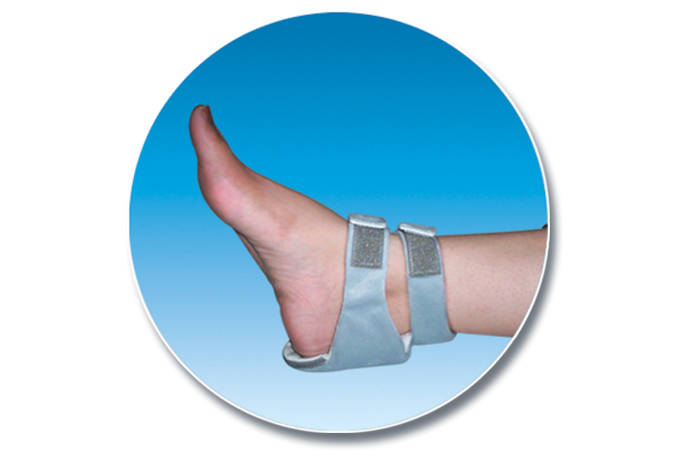 During excessive bed ridden cases heel need good protection from bed sore formation at heel area. Heel is the Second prominent area that develop bed sore easily in bed ridden cases. Help to avoid skin breakage from heel area by pressure relief. Prevent bed sore at posterior calcaneum during supine lying. Protect lateral & medial side skin breakage of heel. During supine lying calcaneum is the Second prominent after sacrum so need pressure relief.